Locate the App on whatever platform you use. The official Snapchat app is available on iOS and Android devices only! To locate the application, launch your device’s app store. 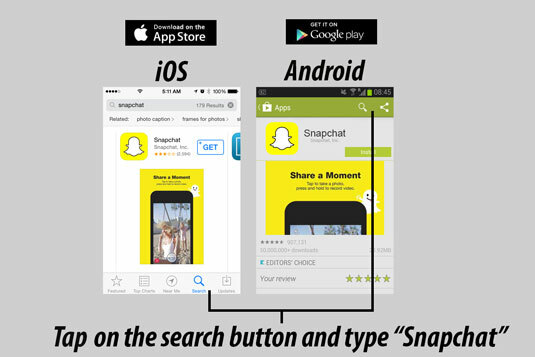 In the search, you can either type Snapchat, and it will locate the app for you, or you can go to the top-rated or top-free app category, and the app will be listed within the top 10 of the most popular applications. 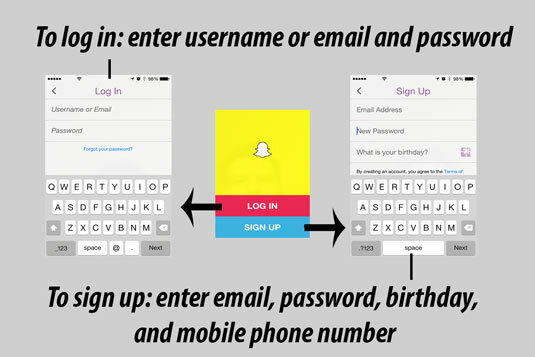 To use Snapchat on non-iOS and non-Android devices, you have a few options but keep in mind these options are often buggy and not supported by Snapchat officially, so they sometimes only work until Snapchat chooses to block them. 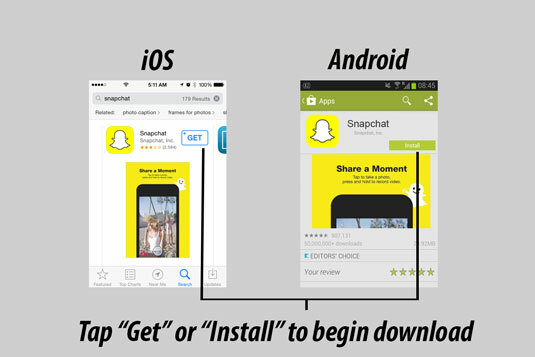 Find a third party host app, for example, Snapped for Snapchat located in the OS X app store. Add the Snapchat Desktop App from the Google Chrome Web Store (launches within the Google Chrome web browser). To download the application, simply follow the on-screen instructions provided within the app store. Since this is a free application, all you should need to do after locating Snapchat is tap the download button and wait roughly 1 minute for your application to download and install. Launch app and create an account or login. At the first launch of the application from your device’s home screen, you will be presented with a bright yellow screen with two options: LOG IN and SIGN UP. Follow the on-screen instructions to create an account or log in. Only one instance of you being logged in can occur, so if you are trying to use the same account on multiple devices, you will have to log out of the previous device first.